As the stay of Alexis Sanchez at the Emirates grows unlikely everyday, Arsenal are reportedly preparing to replace him with Manchester United star Anthony Martial, reports the Mirror. The Frenchman arrived in Manchester following a whopping £58 million transfer from AS Monaco back in 2015. But after having enjoyed a decent debut season at Old Trafford under Louis van Gaal, the youngster dropped down the pecking order following the appointment of Jose Mourinho. The talented winger was in and out of the United starting lineup during the Portuguese’s first season in charge, and his game time was restricted to mostly substitute appearances. Nevertheless, Mourinho seems to have finally come to terms with the ex-Monaco star, who has been given ample chances to prove himself this season. Martial has already managed to score 5 goals and provide 6 assists across all competitions in a mere 9 appearances this campaign. However, he has only made a single league start so far, despite his stunning form. This could indicate a weak trust between Mourinho and the French international, which could be capitalised upon. In fact, Arséne Wenger’s side are reportedly looking to do exactly that, in order to lure the young winger to North London. With Sanchez’s seemingly imminent departure looming over the Emirates, the veteran French manager could promise the Red Devil more first-team action in order to secure his services. On the other hand, however, the Londoners would have to cough up a huge sum if they were to compel Mourinho’s side to let go of Martial. 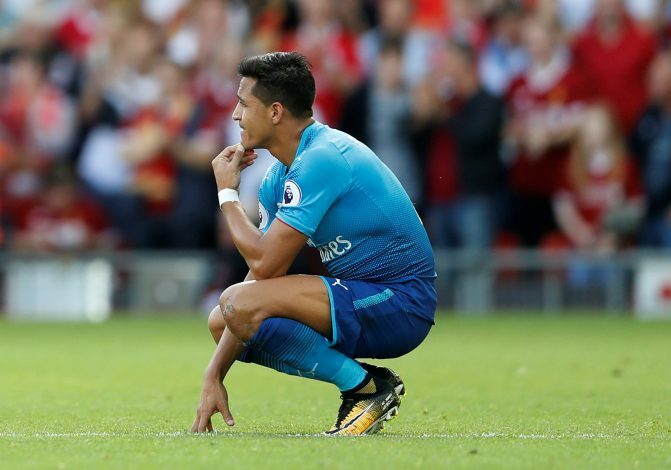 Though the departure of Alexis would do more than enough to financially compensate for that, it would all be for naught if he left the Gunners as a free agent next summer. The 21-year-old is certainly a worthy replacement for the Chilean international, and his versatility could aid Arsenal in a grand fashion. With Thierry Henry labeling Martial as better than himself at the age of 21, Wenger’s side may want to get more serious in their pursuit of the United starlet. It would be a great lost to Man united to let go such a young & talented player like Anthony Martial who would be more dangerous with some regular start. Please, we need him more at United. Mouriho wouldn’t sell because he can win any trophy wit average player he only buy already made player.